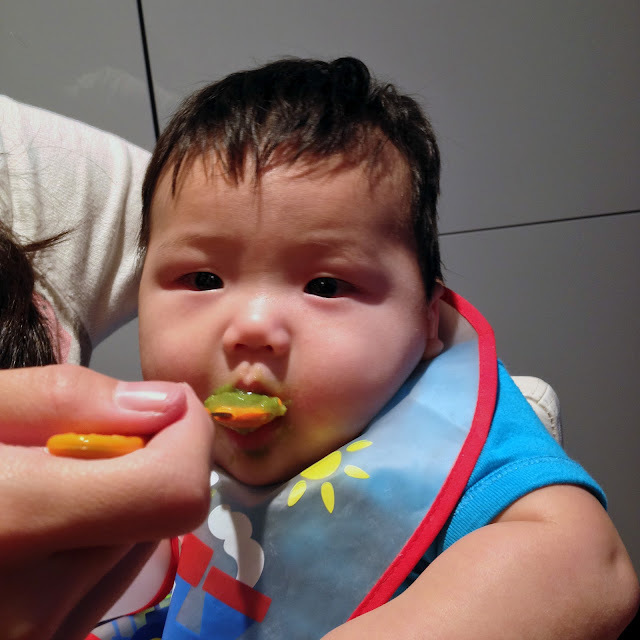 A week or so ago, we started feeding our little guy rice cereal. He loved it, so we decided to move onto veggies. During Austin's 4 month well visit to the pediatrician, we were given a list of first foods to introduce our baby. 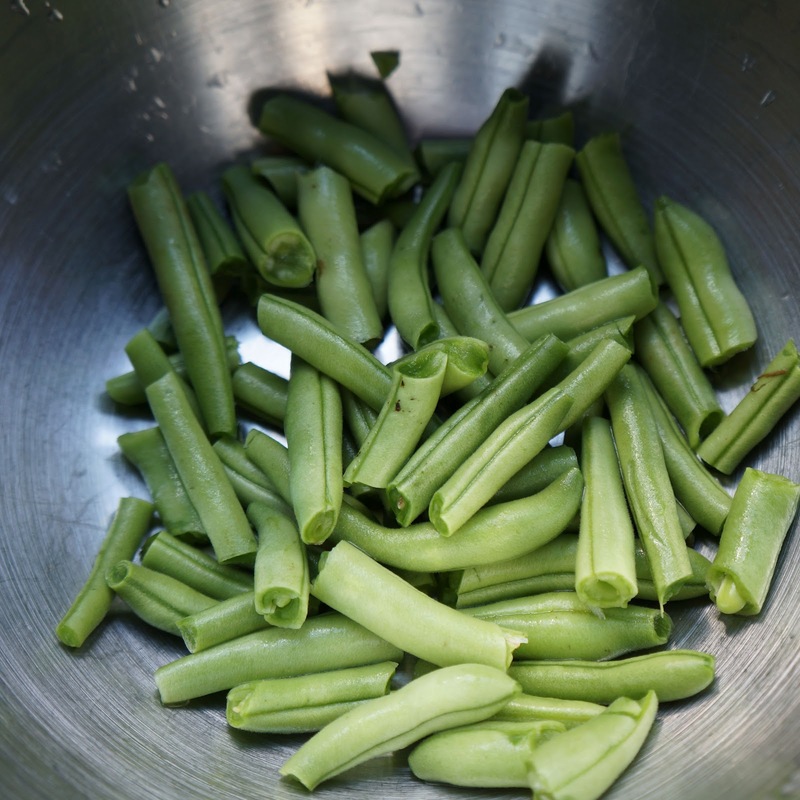 On top of that list was green beans and how serendipitous that we got some fresh green beans from Hampstead Farm's CSA. Unfortunately, I only got about a cup of it, as you can see in the photo above. 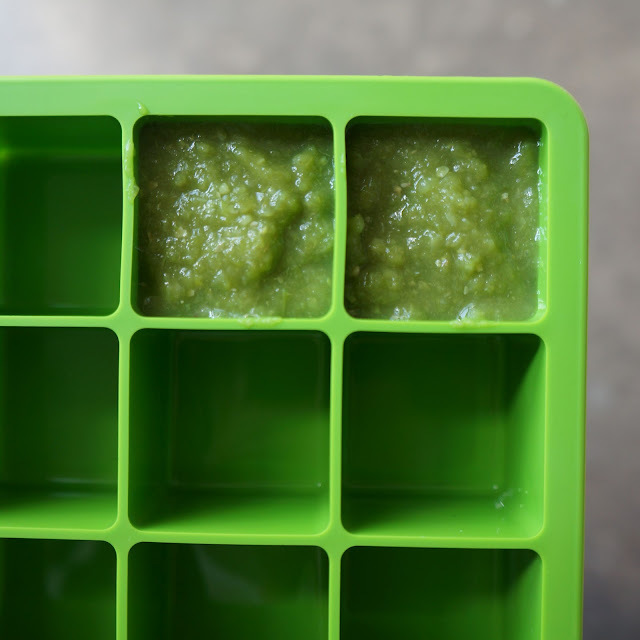 With that and some tedious labor, I was only able to make about 2-1/2 one ounce cubes of baby food. Luckily, Austin loves green beans, so my hard work was not wasted. Scroll to the end, click on the cute picture of him eat it up for a video clip! Next up... sweet peas! Yum! press puree through a sieve to separate hulls.